Dr. Dean Sorrento is board certified in both foot surgery and rearfoot/reconstructive ankle surgery by the American Board of Foot and Ankle Surgery. He specializes in all aspects of foot and ankle reconstruction. Very knowledgeable. Knew exactly what the problem was and how to correct it! Clear, concise explanation of my issue as well as several treatment options. I appreciate the conservative 1st approach even though surgery may be down the road. Pleasant, Efficient, He took the time to share a 3D model of the foot so we could better understand the 2D representation on an xray. Speaks "plain language" not "Doctor-ese"! I felt like I was inconveniencing him. He said as few words as possible. He quite frankly seemed like he wanted to be anywhere else but in that room. Also, when you're palpating an already painful foot and the patient says "OW", you should say sorry. 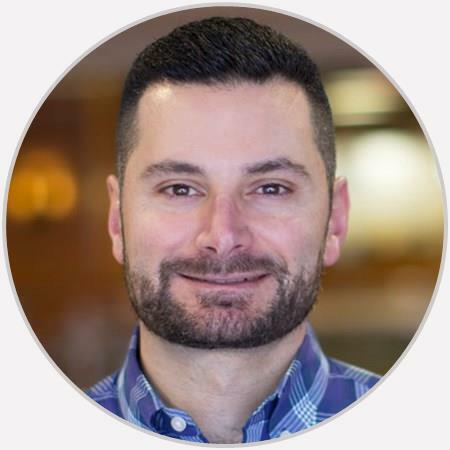 Originally from New Jersey, Dr. Dean Sorrento graduated from St. Joseph’s University with a Bachelor of Science degree in Biology. He received his Doctorate of Podiatric Medicine from Temple University School of Podiatric Medicine, where he graduated with honors. He completed an extensive four-year residency in reconstructive foot and ankle surgery and trauma at the University of Pennsylvania Health System/ Presbyterian Medical Center and Temple University Children’s Hospital both in Philadelphia, PA. Dr. Sorrento is one of a select few in the Lehigh Valley certified on the Salto Talaris, Inbone Ankle systems, and most recently the STAR ankle replacement. His training encompasses all aspects of foot and ankle reconstruction, including complex adult and pediatric foot and ankle-acquired and congenital deformities, diabetic limb salvage (Charcot reconstruction), high arch and flatfoot deformities, trauma (ankle and foot fractures) and neuromuscular disorders. A Clinical Assistant Professor of Surgery at Penn State College of Medicine, Dr. Sorrento has published in peer-reviewed journals and co-authored a chapter in a leading textbook in foot and ankle surgery. Dr. Sorrento is board certified in both foot surgery and rearfoot/reconstructive ankle surgery by the American Board of Foot and Ankle Surgery. He is also a fellow of the American College of Foot and Ankle Surgeons. Dr. Sorrento has enjoyed living in the Lehigh Valley with his wife and two children since 2000. Prior to joining OAA in 2009, he was in private practice for ten years. Dr. Sorrento welcomes new patients and patients seeking second opinions, including failed and revisional surgery. EDUCATION Undergraduate St. Joseph's University Philadelphia, PA Medical School Temple School of Podiatric Medicine Philadelphia, PA Residency University of Pennsylvania Health System / Presbyterian Medical Center Philadelphia, PA BOARD CERTIFICATIONS American Board of Foot and Ankle Surgery Certified Foot Surgery Certified Reconstructive Rearfoot and Ankle Surgery ACADEMIC APPOINTMENT Clinical Assistant Professor of Surgery, Penn State College of Medicine Hershey, PA PROFESSIONAL SOCIETIES American Podiatric Medical Association American College of Foot and Ankle Surgeons Total Ankle Replacement Dr. Sorrento is certified on the Salto Talaris Ankle, Inbone Ankle, and most recently the STAR systems. All are FDA-approved for use in the United States. Ankle replacement offers an option to patients with advanced ankle arthritis. The most common types of arthritis affecting the ankle are osteoarthritis (degenerative), post-traumatic arthritis, and rheumatoid arthritis (inflammatory). Patients in the past were only offered a fusion operation, which led to a stiff ankle and altered gait. With advanced designs, ankle replacement has become more popular-- with studies showing favorable results compared to fusion. Dr. Sorrento will determine who is an appropriate candidate based on a clinical exam and x-rays.